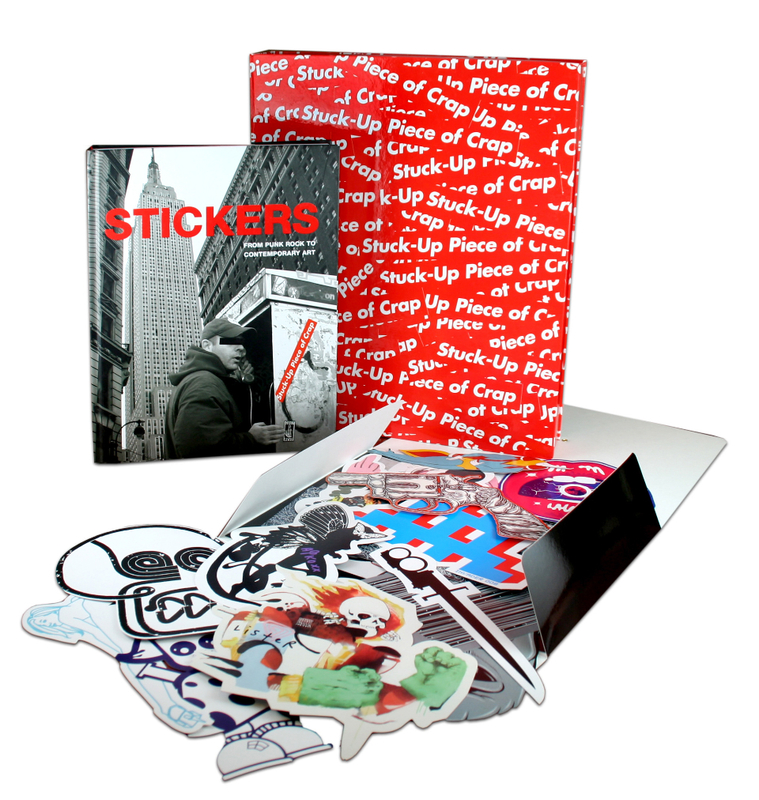 w/ contribution by Shepard Fairey and Carlo McCormick called STICKERS. It’s got everything!!! Seriously thorough. $250 fancy version here (Ltd. to 300 copies, hardback w/ sticker repro’s & pictured below) & a $35 paperback version here. They’re trying to throw a big show together in NYC for March 2011 & asking for some help, that link is here.